Today I want to talk about a very discreet and very special person for IL VOLO, Barbara Vitali. All of us fans know her and her role, but certainly not because she is an exhibitionist, yet she plays a very important role for Gianluca, Ignazio and Piero, but little is heard of her, but her presence can be sensed, it is like a shadow that follows our boys and watches over them. When Gina suggested the idea of making a post dedicated to Barbara, I immediately accepted, because I liked the idea a lot, but I must say that in my search for news about her, I found almost nothing. Yet she plays a very important role, but it is certainly not the person who loves fame. Her task, very well done, does not require footlights, but requires a lot of patience and also a lot of firmness. And so I remembered when I read an interview with Torpedine. He said that in the beginning he had to deal with three kids, who came from different cities and he immediately thought of a person who was able to maintain relationships with the various guys, solve their adolescent problems, and try to get them in agreement – three guys, surely with different characters and also doing “bridge” between their parents, mothers and fathers who had to be reassured …… in short, a role, not at all easy, a ROAD MANAGER, but with many shades more than the usual road managers. And Barbara plays this role very well, always present for “her boys”. Always ready to go with them. It must not have been easy, at the beginning, to channel three kids from different cities, in a single point from which to set off all together for long flights to distant destinations, and then, the long stays in America, luckily there was always support at least one parent for each boy. And she, always with them, almost a second mother. In short, a SPECIAL person, who knew how to establish excellent relationships with as many as six parents, who love her and respect her, and who immediately understood the importance and seriousness of this person. And the fans who had the pleasure of meeting her, they were fascinated, an exquisite person. Not to mention the guys who love her. 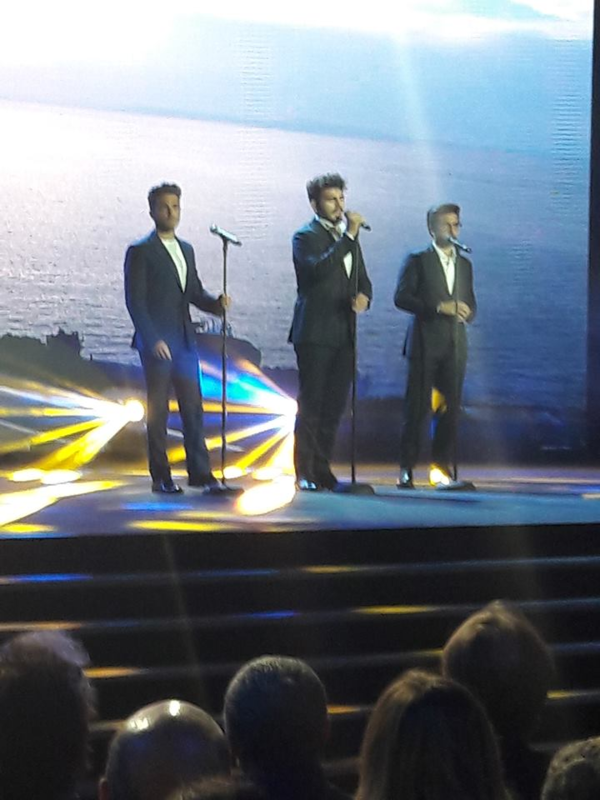 Taormina, 23 August 2015 – The XXI International “Rosario Livatino – Antonino Saetta” Award, dedicated to the memory of the two judges of Canicattì, victims of the mafia, was assigned to Piero Barone, Ignazio Boschetto, Gianluca Ginoble de Il Volo, to their road manager Barbara Vitali. The three boys are now young men, but she is always with them, the problems to be solved are different, but her presence is always welcome, an indispensable support for IL VOLO. Dear Barbara, we fans thank you for everything, because surely on the formation of the character of the guys, your advice will also have influence, your presence went far beyond the working relationship, has taken over, the mutual affection and esteem, these are fundamental parts between you and Piero, Ignazio and Gianluca. Thanks Daniela for giving Barbara the recognition that she deserves. She is wonderful with the boys and their parents. We were fortunate to chat with her at one of the meet and greets and she was very gracious and down to earth. The boys are so lucky to have her. She is a lovely person. Barbara, I think the name of Wonder Woman is really appropriate for our Barbara. We of everything, we see only the pleasant part, but I believe that his arms, many times have welcomed our boys during a disappointment. Mary, how nice it must have been to be able to exchange a few words with her, I haven’t had this pleasure yet, but I really think Barbara is a special person, I can’t even think of the thousand problems she has to face every time for these guys. What a wonderful “Mama” you ave become to the. They are truly blessed to have you in their lives. You are the one who keep the focused. Maureen, I don’t know with what criterion Torpedine chose Barbara, perhaps among other people, but surely he saw us far away. I confirm your thanks to Barbara, Beverley. She is a special and lovely person. God Bless her for caring for the guys!! Absolutely agree with you Joan. Thanks Daniela. I had a chance to have a picture taken with Barbara at the Il Volo concert in Dallas,TX.. She deserves a thanks from all IL VOLO fans. Thank you Regina, for giving me the inspiration. Barbara certainly deserves our thanks. Lovely tribute. I shared on Facebook and tagged Barbara. Hopefully she will see it. Lisa, I saw the sharing and I was honored. Thank you also for tagging Barbara, we hope she read it, so that she know that we fans, also have her in our hearts. What a wonderful tribute to a loving and kind woman. The boys love you so much and it is evident as they always thank you in their interviews. She has taken such good care of these lovely young men since they were just children and you can see she loves them as if they were her own. Thank you Barbara for your kindness and commitment to our angels. You are always there for them. Barbara Brown, it is true, one senses that there is a mutual love between Barbara and the boys and surely she is fond of them as if she really had a blood bond. She is one lucky woman!!! Joanie, Barbara told you such sweet things. I guess she feels proud of these guys, every time they perform or get a great result. I believe that her role, certainly difficult, is relieved by the great affection she has for these boys, and the boys reciprocate her with equally genuine affection. Great Barbara! Connie, it must not have been easy at first, but they certainly did a great job. Grazie mille a te Connie. Ariana, can you imagine how upset Barbara was that night when Ignazio didn’t return to the hotel? I believe she is able to make serious reproaches when they need them …. this is also love. What a wonderful woman. What gifts of communication she must possess to love and guide the boys for 10 years. Yes Wonder Woman correctly describes her. Plus, she gets to travel in that awesome realm with the boys all over the world. I’m so glad this tribute was written for all of to get to know her, Thank you for this. Hugs to all of you. Thanks Victoria, Barbara is really a special person and it was a pleasure to write something about her that is often not seen, but as always she is there. DANIELA BUONASERA, COMPLIMENTI PER IL SITO E PER IL LAVORO CHE FAI PER I FAN DI TUTTO IL MONDO, VOLEVO SOLO FAR SAPERE AGLI STESSI CHE SE VOGLIONO DEI CONCERTI DEL VOLO , DEBBONO SOLLECITARE E FARE RICHIESTA AGLI ORGANIZZATORI DEI CONCERTI DELLA LORO NAZIONE O DELLE LORO CITTA’ I QUALI SONO LORO A CHIAMARE E ORGANIZZARE I CONCERTI E NON IL MANAGER DEL VOLO. QUINDI E INUTILE CHE CHIEDONO CONTINUAMENTE AL VOLO DI ANDARE NELLE LORO CITTA’, COME SE IL VOLO NON VOLESSE ANDARCI. Salvatore, thanks for the wonderful compliments. I agree with you, regarding the concerts, it is not a personal choice of the boys, their staff, decides based on the request. Daniela, what a beautiful tribute to a truly amazing woman. I am so thankful she is in Gianluca, Piero and Ignazio’s lives. I had a chance to talk with her when we saw the boys at a PBS event in St. Paul, MN. Marie and I had just returned from our Italy trip and Barbara asked me what we saw. After I told her she said SHE has not even seen most of the things we did, and that someday, when she is not traveling any longer, she hopes to see the sights in Italy that we did! She is such a down to earth and lovely person. So genuine…just like the guys. Dear Jane, what you are telling me confirms what I think, Barbara took her “work” very seriously, but she has been obliged to stay away from home for long months. The fact then that his time is bound for the most part to our boys, I believe that he does not leave her space to visit so many typical Italian places. Yes, she really is a simple person. Thank you for all this wonderful information. She is a remarkable women and I think one of the secrets to their ongoing success. Certainly wish I could meet her ‘tho not likely. The Lord bless her for bher faithfulness. Christine, Barbara certainly contributed to the well-being of the guys and therefore indirectly to their success. I’d love to meet her too. Wonderful woman, the boys are very lucky to have such person to care of them and support them. They can deal with what they do best – music, because Barbara takes care of everyday matters. I’m sure that they are very greateful to her for everything she does for them, for her devotion and they love her very much, just like a socond mother. And we fans owe her a lot. She stays in the shade, but she deserves attention and respect a lot. Thank you Daniela for beautiful article that helped us to get to know Barbara and her role in the boys life better. Grazie mille. Jolanta, as I said, I found very little about her, indeed almost nothing. She really is a person who works and loves in the shadows, a person who deserves all our respect. Whenever I see her at a meet & greet I make it a point to go over to her and thank her for everything she does forthe guys. I read a long time ago that they called her Aunt Barbara–I don’t know if they still do. Yes, Penina, I too had heard this name of “aunt” in an interview. I don’t think they are still using it now, I would like to know too. for your good work and words for our boys. Thank you Gale. When I wrote this post, I knew everyone would approve, because the affection and esteem that all of us fans have towards Barbara is really sincere and great. I met Barbara at the fanfaire in Las Vegas, I took a photo of her with our Jeannette. Even when she was talking to people, she was always aware of what the guys were doing. Yes, Jill, as a “real mother” never loses sight of her pupils, ready for any eventuality, like running in Panama, to buy a new dress for Piero, since at the airport they had lost her suitcase, or else accompany him to the doctor, when he had had an outlet on the skin … she is ready for any eventuality. Gian always knows how to be very sweet. Dear Dima, welcome to the group. I also hope one day to have the chance to meet Barbara, we are fortunate that the boys are followed by a sweet and humble person. I must say this is a very special and wonderful piece about Barbara. I connect with her on average about once a month and when closer to a special event each week. 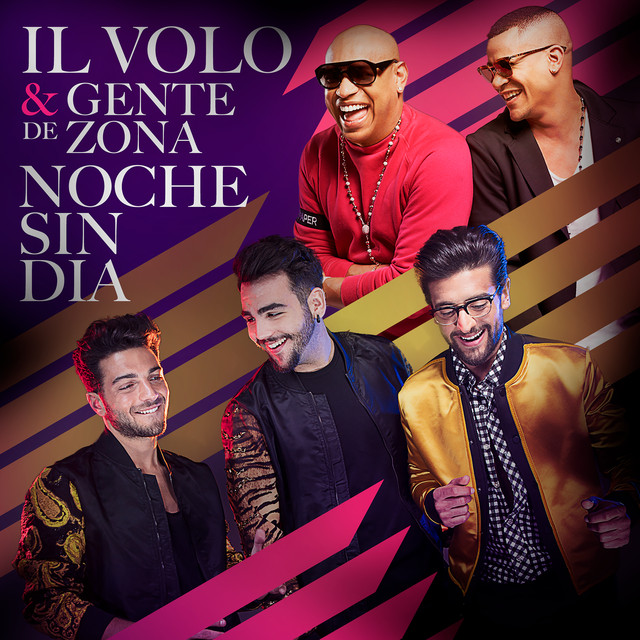 As we get closer to setting parameters on the next Il Volo Fan Faire we will be on the phone or email more often. She is a very serious worker on any project and more fun to work with person to person and face to face. Thank you Myron, I have never had the pleasure of meeting Barbara, but I believe she does a great job and the fact that I didn’t find any public news about her, confirms the seriousness of this person. I hope to meet her one day. I was lucky to met Barbara when the boys were beginning their carears but we got separated for whatever reason so never got a chance again. All I remember that I had to tell her how lucky she was to have such a wonderful job & how I was wishing I could work beside her. I hope I get another chance to see the guys in concert shorly I sincerely want to thank Barbara & Mr. Torpedine for looking after our precious sweethearts. No matter what the age the boys are & growing up they are still my precious sweethearts. Loretta, I believe that many fans would like to be in Barbara’s place, to be able to stay with our boys every day ….. who doesn’t want it? But I really think it’s a very tiring job. Beautiful commentary. Well written. Thank you for focusing on her. I’m sure it’s difficult to put into words the genuine affection felt among all of you…the words and accolades would be endless. While you held a most enviable position watching out for these three now beautiful Italian men, we on the outside will never know the stories on the inside…my admiration is sent your way for your dedication in watching over, if you will, of these three remarkably talented and beautiful men. I agree with you Eleanor. Thank you Daniela for this lovely post on Il Volo’s Road Manager Barbara Vitali. She doesn’t get much attention but she has obviously played a major role in helping to guide the boys, assist them and lovingly watch over them all these years! While some parents were able to travel with Piero, Ignazio and Gianluca, especially when they were younger, it must really ease their minds to know that Barbara is always there for and with them. Well said Margaret, surely when the boys were young, Barbara must have had great headaches, but she did a good job. She is discreet, she does not like to be noticed, she slips into the shadows, but she is there.